I want to go! How do I book my cruise? Click on the Booking menu at the top of this page for prices, itinerary and a link to the booking website. If you’d prefer to call, our cruise Account Executive, Chappy is extremely helpful and will take care of all your booking needs. If Chappy is on vacation, please hit 0 when his out of office message starts and you will be transferred to the group coordinator. Please give them group #9386536. We are now past the discounted deposit period, but Cabins are still available! A full deposit is due at time of booking. $250/pp $500 per cabin. What if I want to add a 3rd or 4th person, or book a Suite? Contact Chappy at Cruises Only. See below for his contact information. Third or fourth person bookings, or suites, require a full deposit at time of booking. ($500 per room). Can I book as a solo traveler? Yes – solo travel requires full payment for the room (per person rate x 2) but taxes and gratuities are only paid on one person instead of 2. If booking on the website, enter your name twice to reserve as a solo traveler. Can I book directly with Royal Caribbean or another agent? No. The group booking from Cruises Only is a great deal (we comparison shopped!) and includes the roll up of all fees which you may not see directly on RC’s site and is a refundable fare – most sale fares are non-refundable. Bookings made other than through Cruises Only will not count towards our group minimum and none of the group perks, seating or events will apply – we can only offer MDAS participation to those who book through the group #9386536 through Cruises Only. Can I still book after 12/19? Yes! The deposit per person will move to $250 vs $50, but bookings can still be made via Cruises Only until the ship is sold out. Cabin prices are subject to potential increases if booked after 12/19. What is Mission Day at Sea? Mission Day at Sea is a Niantic Sanctioned Special Event. You will have the opportunity to explore foreign ports of call, while gathering 6 missions to complete your Mission Day at Sea! There will be a maximum of 2 missions per foreign port of call, to ensure plenty of time to explore each port and get all agents safely back on board in time to meet the ship deadlines. The MDAS team is working to ensure there are missions which are safely accessible for those with low mobility. Why do I need to make sure i’m back on time? If you are not back on time, the ship WILL LEAVE WITHOUT YOU. This is not a joke. There are runners on every cruise ship, and we don’t want to leave any Ingressor’s behind! We’ll make sure there are missions available prior to departure as well so that you can get a head start if you’d rather relax on a beach while cruising. Yes – like any mission day the cruise is open to all agents, Enlightened and Resistance. Will there be a portal at Sea? What about Sojourner? Great Question – Niantic is excited to work with us to test technology to make a portal available for a limited time during at sea days. Like all new technology nothing is guaranteed, but you’ll have almost a full year to get Onyx if you’ve been hacking since Nov. That being said we’re really looking forward to working with Niantic to make a portal happen! What will I do on a Mission day at sea? We’ll have a reserved conference room safe for board games. Bring your favorites and geek out with friends or frenemies and learn some new games. Karaoke! Swim! See a show! Hang out at the English Pub or night club! You can even go ice skating and rock climbing! And when you’re not at sea, explore the super cool ports of Grand Cayman, Costa Maya, and Cozumel! Uniques, missions, and history! Have an idea on something you think would be fun to do on cruise, or want to volunteer to help? Contact @dayosteph on TG with your ideas! Included in the cost of your cabin are all meals (unless you decide to go to a specialty restaurant) tea, plain coffee, non bottled water and fruit punch/lemonade. All on-board entertainment except for casino spending and specialty tours/excursions, and spa treatments. There will also be a $50 per stateroom on board credit provided. Will I need to spend money on food in a specialty restaurant? Not unless you want to. The food on Royal Caribbean is very good – it’s one of the reasons we decided to partner with them. There will be an upscale Japanese, Steak, and Italian restaurant on board than can be booked for an additional $15-30$ pp, but you will be able to get steak, fish (and usually lobster at least one night) in the main dining room at no additional cost. You will also have free run of the snack buffets, sandwich nooks, and treats spread around the ship. Will they cater to my allergies/dietary intolerance/vegetarian requirements? YES! Royal Caribbean is fantastic at ensuring their guests have enjoyable food to eat and respecting food allergies. Please make it easier for them to accommodate you by completing your cruise check in early and requesting any specific accommodations you would like. Which seating will we dine in? There are two main dining room seatings for formal dinner. You are not required to eat in the formal dining room if you would prefer to go to the buffet. All MDAS participants will be booked into the late seating and will be seated together unless requested otherwise at time of booking. All soda, bottled or sparkling water, alcohol, and “fancy” coffees are extra. It is possible to purchase all inclusive alcohol or soda packages at Royal Caribbean’s current rate, and they often have sales on beverage packages prior to boarding. You are also expected (although technically optional) to provide a gratuity to your service staff (seriously, these folks work really really hard for you and deserve every penny), which can be prepaid or paid on a credit card during the cruise, which typically averages ~$14/day per person total unless you decide to add more. All costs per room are per person, not per stateroom. What is the deal with Excursions? Excursions are optional trips while at port. While you can book independent tours, and we are looking at what might make sense for missions, I highly recommend booking tours through the Royal Caribbean website. Their tour operators are all licensed and vetted and will ensure you get back to the boat on time. You do not want to get left behind! Excursions include trips to the Mayan ruins, snorkeling expeditions, beach parties, tour bus cruises of historic towns, scuba, and more! There are tons of things to fit every interest and activity level. Excursions can cost anywhere from 24-200$ pp depending on the length and activity involved. There is no cost to get off the ship in any port – feel free to explore on your own if Excursions aren’t your thing – just be back to the ship on time! Do I need to get myself to Fort Lauderdale? Yes! All transportation to and from the cruise ship are at your own expense. Transportation, excursions (see info above), alcohol, and any souvenirs. Expect on board drink prices to be about the same as an Anomaly hotel $6-$12 dollars, and wine at the corresponding markup per bottle. Gratuities can be prepaid with your cruise fare. Otherwise they are autobilled at $14.50 per day to your seapass card as mentioned above. My advice is to budget yourself ahead of time! The set sail pass can make it easy to rack up unexpected expenses as you will need to assign either a cash deposit or a corresponding credit card on board – and the rest of the cruise will be cashless. What do I do if I need to bring a CPAP/Medical Device on board? 1) Make SURE you tell Chappy (or if you haven’t booked yet, put it in the special accommodations request) that you are bringing a CPAP machine. 2) Bring your own power strip/extension cord. 3) RC will provide distilled water and an extension cord. (the group person said that power cords are not explicitly prohibited so bring yours, but it’s good to ask for them to provide one as back up. If yours gets confiscated it will be returned to you at the end of the cruise). Make sure that this is noted in special accommodation requests otherwise RC will not know to plan for more cords and will not have distilled water in your room. You must be 21 to cruise by yourself unless traveling with a parent or legal guardian. What if I want to go and I have kids? Royal Caribbean offers several kid-entertainment options, giving mom or dad a chance to hang out with their Ingress pals. I recommend arrival the day before the cruise departs – (Nov 2 arrival for Nov 3 departure) as flight delays happen. If you are not there at boarding time the boat will leave without you. Enjoy your vacation, don’t be stressed, get some missions under your belt, and come in early if you can. Ft. Lauderdale is planning a mission day for 11/2 for those who plan on arriving early. Will there be a designated hotel prior to boarding? No – although I encourage coordination in TG prior to booking and there will be more meetup information to come prior to sailing. Will we have the entire ship? They consistently offer nice rooms, excellent food, and a great variety of excursions at a reasonable price. They also do not close up shop at 8pm like some cruiselines, so your nocturnal game playing and drinking can continue until the wee hours. (The hot tubs stay open late too! Who is organizing this, anyway? Hi! I’m dayosteph, and I’m a Recursed ENL agent from Chicago. I’m the person who came up with this crazy idea and I’ll be your “cruise director” during the trip. I’m an experienced cruiser and organizer and can likely answer most cruise questions you might have. You may have met me along with the Anomallama at any number of Ingress events. Helping plan are a fantastic team of ENL and RES Agents including Strandit, Gamorg, CatrpilrQueen, Roselessthorn, Sheknows74b, ClutterCutter, and Suzcruz. Your RES POC is Anndventure out of Tampa, FL, a fellow dedicated cruiser! Many thanks to Niantic for their support! 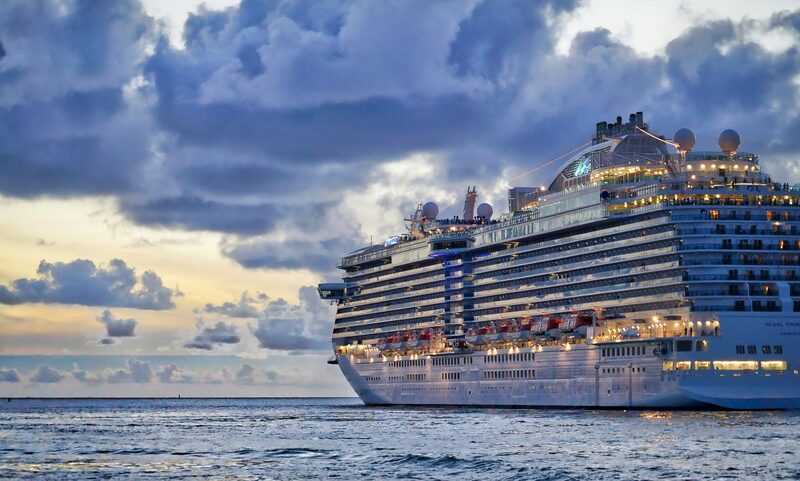 CruisesOnly is America’s Largest Professional Cruise Agency, They have been around for over twenty years, crafting cruise vacations for groups big and small. CruisesOnly provides booking, email invoicing, payment reminders and a team of cruise specialists who are waiting to take your calls and answer your questions.